Contaminants of emerging concern (ECs) is a term that has been used since the mid 1990s to identify natural or synthetically occurring substances not commonly regulated in the environment and having or suspected to have deleterious effects on humans and the ecosystem. This includes compounds such as pharmaceutical and personal care products (PPCPs), pesticides, hormones and endocrine-disrupting compounds (EDCs). The presence of a large range of ECs in the aquatic environment, as well as in drinking water has become a global concern. Due to advancements in detection methods, over the last 10 years several studies have reported on the widespread occurrence of ECs in the environment at levels between 2 and 4 ppt. 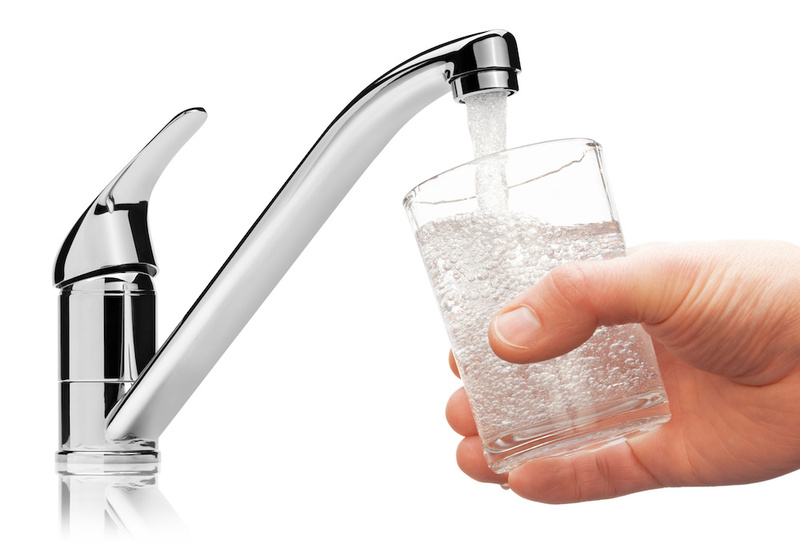 The U.S. EPA has reported the presence of 116 ECs in public drinking water systems. PPCPs and endrocrine-disrupting compounds (EDCs) are emerging contaminants of prime interest. Pharmaceutical compounds, particularly those of non-steroidal anti-inflammatory drugs and antibiotics, are extensively used. The annual consumption of PPCPs and EDCs is more than 20 million tons worldwide and continues to increase due to their high demand in human disease prevention, as well as the widespread use of cosmetic products and fragrances. At low concentrations in drinking water, these contaminants are unlikely to pose any immediate, measurable risk to human health, but have potential to cause long-term adverse effects to living organisms and the ecosystem. Identifying the technological trends and knowledge gaps in relation to the removal of ECs in drinking water is a priority. Removal of ECs and their metabolites from water remains a significant and challenging task. Most ECs are water soluble and non-biodegradable, which make it difficult to remove them effectively by conventional water treatment methods. Physicochemical and biological processes often are inadequate to remove pharmaceutical compounds completely. Traditional techniques to remove ECs from drinking water, such as the use of chlorine, are largely ineffective at removing many recalcitrant and polar ECs. Use of chlorine may generate toxic chlorinated byproducts, such as chloramines and trichlomethanes under the conditions employed in water treatment plants. Therefore, there is a need for more efficient and cost-effective treatment processes for the removal of ECs from water. Various advanced treatment technologies have been developed for effective EC removal. These include adsorption, membrane separation, advanced oxidation, photocatalysis and more. Selection of a specific treatment depends on several factors, such as the cost of the process, operating conditions, selectivity, types of contaminants, and their chemical properties and concentration in the effluent stream. Based on the treatment technology selected, the contaminants either may be completely mineralized, converted to intermediate forms or sorbed to the material used for their removal. Removal technologies that are currently available can be divided into three categories: adsorption, advanced oxidation process (AOP) and membrane separation. Adsorption. Advances in material science and nanotechnology results in the generation of many novel materials such as adsorbents—catalysts with unique size-shape and surface-active properties, which may be beneficial in removing ECs from water sources. Some of the most researched materials in this aspect are porous materials such as activated carbon, molecularly imprinted polymers (MIPs) and metal-organic frameworks (MOFs). Among porous materials, activated carbon (AC) is known as economical and used extensively as an adsorbent in drinking water purification. The main advantage of using AC is its high surface area, well-developed super-microporous structure and the presence of a range of surface functional moieties. AC use does not generate any toxic or pharmacologically active intermediates. Both granular and powder activated carbon have been used in the removal of ECs; however, neither form of AC has a high affinity to remove a high volume of ECs. In general, the adsorption rate increases with the reduction in particle size of AC. AC surface is predominantly hydrophobic in nature, but also may contain appreciable amounts of heteroatoms (i.e., oxygen, hydrogen, nitrogen, sulfur) formed during the activation process. These heteroatoms exist mainly in the form of various functional groups and/or atoms chemically bonded to the structure and can significantly influence the adsorptive properties of AC. AC removes impurities mainly by adsorption, the efficiency of which largely depends on various factors such as surface area, pore size distribution and the nature of AC surface. Regular AC has limited affinity to reduce various ECs. Improvements over the removal capacity for various ECs can be achieved by carrying out appropriate surface modification of AC. Surface modifications result in the change in the surface reactivity, as well as chemical, physical and structural properties. Based on the type and nature of the contaminants, the surface of AC can be tuned accordingly to enable AC to develop higher affinity towards the desired contaminants. In general, it has been found that the presence of basic functional groups on AC enhances their adsorptive capacities towards various ECs. However, the exact sorption behavior of ECs depends on several factors, including adsorbent-adsorbate hydrophobicity, nature of the functional groups of the AC, adsorbent-adsorbate interaction, adsorbent particle size and the origin of AC material. Adsorption of ECs also depend on the type of activated carbon used. The most commonly used activated carbon in water purification is coal- and coconut-shell-based carbon. Coconut shell-based AC is highly microporous, less dusty and hard, which makes them the ideal AC for water purification. Surface-modified ACs have enhanced physisorption and chemisorption capabilities and are called EPC carbon. EPC formulations give higher contaminant reduction claims than regular activated carbons. MIP is another class of promising adsorbent prepared by co-polymerization of functional monomer around a target template molecule which leaves a specific recognition site after removal of the template. Thus, MIPs can effectively recognize specific adsorbates in the sorption process due to their high affinity and selectivity. MOFs are suitable to remove ECs because of their huge porosity, easily modifiable structure, and chemical and thermal stability. Several other adsorbent materials also have been explored recently for removal of ECs, which include clay materials, zeolites, inorganic metal oxides, carbon nanotube, biochar and more. AOPs. AOPs also are effective at removing ECs. AOPs include ozonation, Fenton oxidation, permanganate oxidation and photocatalytic technology. These oxidation methods are based on the generation of in situ hydroxyl radicals, which non-selectively oxidize pharmaceutical compounds to various degrees. One hundred percent oxidation leads to complete mineralization, yielding CO2, H2O and inorganic ions as the final products. Photocatalytic oxidation using nanocrystalline titania has become popular for new technology development because of its non-toxicity, biocompatibility and potential as a photocatalyst for environmental cleanup applications. However, pure TiO2 is not as effective under visible light because of its large band gap. Doping TiO2 by metallic or non-metallic elements can improve the photocatalytic performance. Dopants can act as electron or hole traps and may significantly lower the band gap. Photocatalytic efficiency of doped TiO2 can further be improved by depositing noble metal nanoparticles on its surface, which act as a sink for the photo-induced charge carriers. Moreover, due to the existence of characteristic surface plasmon resonance absorption band of nanoparticles, when deposited on the TiO2 surface they can act as photosensitizers for the excitation of TiO2 under visible light irradiation. This increases the concentration of the trapped charge carriers under visible light irradiation and enhances the photocatalytic activity. Upon irradiation, photocatalysts like TiO2 form an electron-hole pair; in water, this forms superoxide and hydroxyl free radicals. These radicals are oxidizing in nature and decompose the pharmaceutical molecule into CO2 and minerals. Membrane separation. Membrane separation techniques, such as nanofiltration (NF), ultrafiltration (UF), microfiltration (MF) and reverse osmosis (RO), are becoming attractive solutions for contaminant removal. NF and RO have been proven to remove PPCPs efficiently. PPCP removal by UF and MF are limited because most small ECs can pass through the membrane. Efficiency of these processes can vary for different ECs compounds and largely depend on the membrane type, pore dimension and membrane charge. Membrane separation often suffers from high installation and maintenance cost, and membrane fouling. The occurrence of ECs in drinking water has become a major health concern and requires immediate attention. Efficient and cost-effective treatments for these contaminants are on the forefront of research and development labs across the globe. Among available technologies, adsorption by surface modified AC is emerging as a sustainable, economical and effective approach to remove ECs. It is suited for water filtration systems for in-house water purification, as well as municipal and wastewater treatment systems. This technology also can be used in water conditioning at food and beverage and pharmaceutical companies, and health care facilities.